Inset map of the Larocque East Property, home to the world's largest and highest-grade uranium mines. — Photo courtesy IsoEnergy Ltd.
IsoEnergy Ltd. ("IsoEnergy" or the "Company") (TSXV: ISO; OTCQX: ISENF) is pleased to announce that the final drill holes in the winter drilling campaign have intersected intervals of strong radioactivity associated with pitchblende uranium mineralization at the Hurricane zone. 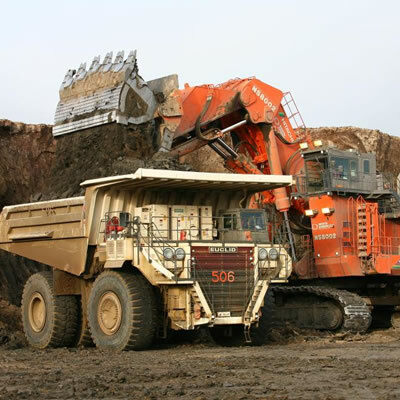 The Hurricane zone is a new discovery of high-grade uranium on the Company's 100% owned Larocque East Property in the eastern Athabasca basin region of Saskatchewan, home to the world's largest and highest-grade uranium mines. 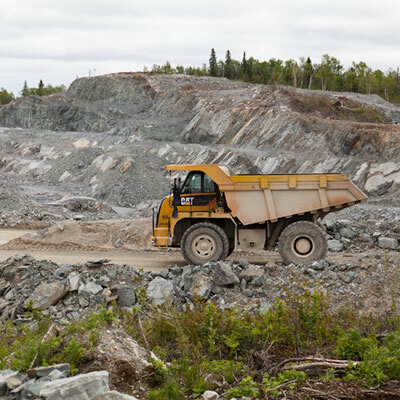 The results confirm the presence of a high-grade uranium deposit at Hurricane with a minimum strike extent of 150 m and work is underway to plan for follow-up exploration drilling in summer 2019. Drill hole LE19-12 intersected 8.5 m of uranium mineralization 75 m west of the discovery section. This includes a 4.5 m interval that measures >10,000 cps (RS-125), including several smaller intervals that measure >20,000 cps. 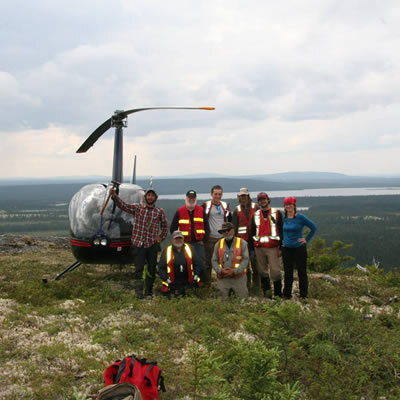 Drill hole LE19-13 intersected 2.5 m of uranium mineralization at >1,000 cps (RS-125) 75 m east of the discovery section, including 0.5 m of strongly elevated radioactivity that averages >10,000 cps (RS-125). With these results, the Hurricane zone now measures over 150 m long x 38 m wide and is up to 8.5 m thick. The company is fully funded for ongoing exploration including a subsequent follow-up drill program in 2019. Steve Blower, Vice President, Exploration commented: "With uranium mineralization intersected in 11 of 12 drill holes, the results of this expanded program have exceeded our high expectations. The main objective of the program was to determine if the Hurricane zone is an isolated pod of mineralization or something more substantial. With a minimum strike length of 151 m it's clearly the latter, and it's open on all five sections drilled and along-strike. Hitting strong mineralization in each of the final two 50 m step-outs bodes well for future drill results." Craig Parry, Chief Executive Officer commented: "I congratulate our technical team and our contractors for a productive, efficient and safe drilling campaign that has resulted in a new high-grade uranium discovery in the eastern Athabasca basin. We strongly believe the uranium market will continue to improve through 2019 as the effects of supply curtailments are further felt and as US utilities begin to seek contracts for uranium product at the conclusion of the US Department of Commerce Section 232 Investigation into US uranium supply, which is expected in Q2, 2019. Against this positive uranium market backdrop, we are excited for the next phase of work at Hurricane and particularly the follow-up drill program we are planning for after spring break-up." Drill hole LE19-12 was drilled on section 4485E, 75 m west of the discovery section and 76 m east of the property boundary. The drill hole intersected a long, 8.5 m interval of fracture controlled, disseminated, replacement and breccia fill styles of pitchblende uranium mineralization (>1,000 cps RS-125). This included a 4.5 m interval that measured >10,000 cps (RS-125), including several smaller intervals that measured >20,000 cps. The only other drill hole on this section, LE19-11, is located 28 m to the north of LE19-12 and it is also mineralized. Collared on section 4635E, 75 m east of the discovery section, drill hole LE19-13 is the furthest hole drilled to the east on the Hurricane zone. It intersected substantial uranium mineralization 50 m east of previously disclosed drill hole LE19-06. While the drill hole was well mineralized, extensive faulting in the basal sandstone suggests that the optimal location on this section was overshot. The main intersection consists of 2.5 m of fracture controlled, disseminated and replacement styles of pitchblende uranium mineralization (>1,000 cps RS-125). This includes 0.5 m of strongly elevated radioactivity that averages >10,000 cps (RS-125). Drill holes LE19-10 and LE19-11 both intersected intervals of elevated radioactivity associated with uranium mineralization. LE19-10 was drilled to the south of LE19-09 on section 4535E. It intersected 1.5 m of weak to moderate radioactivity at the sub-Athabasca unconformity. Drill hole LE19-11 was the first hole drilled along-strike to the west on section 4485E. It was drilled as an angled hole from the north designed to locate target stratigraphy and structures that were to be followed up with drill hole LE19-12, 28 m to the south. As such, drill hole LE19-11 was not expected to be mineralized, but a narrow zone of strong pitchblende mineralization was intersected at the unconformity. Assay results for both of these drill holes are pending. Uranium assays from drill holes LE19-07 and LE19-08 have been received and they are consistent with the radioactive intervals previously reported (see news release dated February 28, 2019). Along with the uranium mineralization, substantial nickel and cobalt mineralization is present. Drill hole LE19-07 intersected 0.4% U3O8, 0.8% Ni and 1.4% Co over 6.0 m. This includes 1.0% U3O8, 4.9% Ni and 9.3% Co over 0.5 m. Similarly, drill hole LE19-08 intersected 0.8% U3O8, 1.5% Ni and 0.4% Co over 3.5 m. This includes 3.7% U3O8, 8.3% Ni and 1.3% Co over 0.5 m.
The winter drilling campaign, expanded from 10 drill holes to 12, is now complete. Drilling data will now be compiled and interpreted over the spring break-up period and integrated with the results from a program of DC-resistivity ground geophysics planned for April. The DC-resistivity survey will aid planning for a fully funded follow-up summer drilling campaign that will likely begin in July of this year and will focus on aggressively expanding the Hurricane zone along-strike to the east. The Property covers a 15-kilometre-long northeast extension of the Larocque Lake conductor system; a trend of graphitic metasedimentary basement rocks that is associated with significant uranium mineralization at the Hurricane zone, and in several occurrences on a neighbouring property to the southwest of Larocque East. The closest of these to Larocque East are the Larocque Lake and Larocque North zones, which are located 6.5 kilometres and 0.4 kilometres, respectively, to the southwest of the western Larocque East property boundary. Drilling at the Larocque Lake zone has returned historical intersections of up to 29.9% U3O8 over 7.0 m in drill hole Q22-040. Drilling at the Larocque North zone has returned intersections of up to 2.05% U3O8 over 0.6 m in drill hole Q22-16. Like the nearby Geiger property, Larocque East is located adjacent to the Wollaston-Mudjatik transition zone - a major crustal suture related to most of the major uranium deposits in the eastern Athabasca Basin. Importantly, the sandstone cover on Larocque East is thin, ranging between 140 m and 330 m in previous drilling. 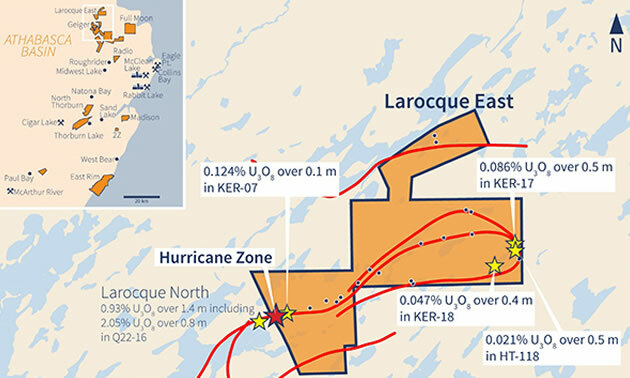 In addition to the Hurricane zone discovery, four historical drill holes have intersected weak uranium mineralization at other locations on the Larocque East property to date, including drill hole KER-07 (0.12% U3O8 over 0.1 m), located 400 m east of the discovery section.